Phillips Charitable Foundation is pleased to announce it has awarded grants to seven organizations as part of the Marie Barth small grants initiative. These grants are awarded to smaller organizations that are often overshadowed in the larger granting arena. The purpose of the grant is to strengthen the organization by alleviating a hurdle, enabling their team to better achieve their mission. The Viscardi Center was awarded $2,500 to offset the costs of a senior class trip to Washington D.C. and Baltimore for sixteen students with severe physical disabilities. 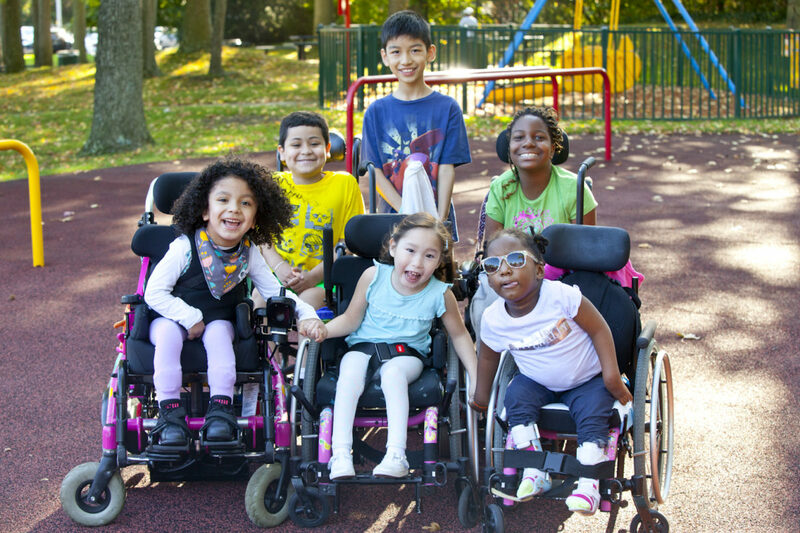 The Henry Viscardi School at The Viscardi Center serves children in Kindergarten through 12th grade who have severe physical disabilities and are often medically fragile. Many of their students have rarely ventured outside of their small communities due to the severity of their disabilities. Their senior class trip provides these students with an unforgettable trip that many of them would otherwise never be able to experience. The Girls on the Run (GOTR) program is a youth development program for 3rdthrough 8thgrade girls that uses running to teach girls life skills and help them build self-confidence. Girls participate in a formal curriculum focused on positive emotional, social, mental, and physical development. GOTR was awarded $2,000 for scholarship assistance, enabling an additional 15 girls from Anne Arundel County Title I schools to participate in their program. Greyston’s mission is to create thriving communities through the practice and promotion of Open Hiring™, an inclusive hiring model that gives jobs to people, no questions asked. Greyston was awarded a $2,500 grant to support its Workforce Development program. This is an employment gateway that provides access to industry-specific, customer-centric trainings in small group settings at no cost to participants. Specifically, the grant will help Greyston support at-risk youth who struggle with a variety of issues, including homelessness, teenage parenting, lack of formal education, lack of parental supervision, and more. Capoeira Center was awarded $2,500 to cover the costs of a lighting and sound system for an outdoor performance at the Marcus Garvey Park Amphitheater in East Harlem, New York. This award enables them to achieve their mission of promoting the culture of Capoeira, an Afro-Brazilian art form, through public performances in the New York community. The public will have the opportunity to enjoy a free outdoor concert displaying the beautiful martial art and dance. The outdoor performance will take place during the early evening hours of Wednesday, August 29, 2018. Paws Crossed is a no-kill animal rescue focused on rehabilitation, rehoming, advocacy, and education. A critical component of their no-kill mission is that no pet leaves their organization without being spayed / neutered. A $2,500 grant was awarded for their spay and neuter program. This allows their team to increase the number of orphaned pets they can rescue in 2018. More rescues lead to more adoption possibilities and forever homes. The Little Orchestra Society's Mission is to be an "Orchestra for all New Yorkers." Their goal is to increasingly engage with communities across New York City that have limited access to music education and programs. A $2,500 grant was awarded to cover the costs for new and updated equipment and instruments to be used in their many music education and community engagement events conducted around New York City. The Little Orchestra Society provides programming for children, caregivers, parents, and grandparents through their events at local libraries, senior centers, public housing facilities, and more. The Center for all Abilities (CAA) seeks to serve individuals with special needs and their families through creative, educational, and spiritual enrichment in a faith-guided environment. They have been awarded $2,500 to cover the costs of additional art and musical supplies to keep up with their recent growth. Their creative arts program enables children to interact, build friendships, focus, improve eye-hand coordination, and discover what they are able to do.